B.J. Finney, who gained some notoriety when he signed a free agent contract last summer (see video), was released on September 5th. His release left some people to ask why he was released because they felt that he deserved a practice squad spot. Some others were confused as to why he was released when he had sustained an ankle injury in the final preseason game. Steelers fans, being no less immune to a good conspiracy theory than any other fanbase, had some among our ranks who were of the belief that perhaps the Steelers released Finney to avoid paying him an injury settlement or having to pay him while on Injured Reserve for the 2015 season. I point all of this out only to preface the situation and then offer clarity on the rules. Had the Steelers released Finney with any injury designation, he would have likely passed through waivers and then, by rule reverted back to the team’s Injured Reserve. The team could have then offered him an injury settlement within 5 days. 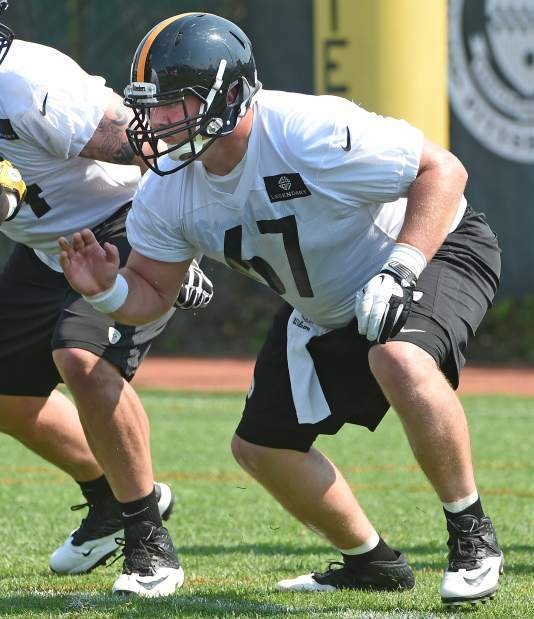 However, being on the Steelers Injured Reserve at any point would have made Finney ineligible to be a member of the Pittsburgh Steelers in any capacity this season. I believe they wanted Finney and were waiting for his injured ankle to get healthy enough to allow him to practice. I confess to knowing little about Barrett Jones, the man cut today to make room for Finney on the practice squad. Jones was taken by the Rams in the 4th round of the 2013 draft, dressed for 11 games in two years and was released this September 5th. He underwent back surgery in August of 2014.
http://www.steelersdepot.com/2012/08/explaining-the-nfl-waived-injured-process/ According to my research, if he was waived/injured and cleared waivers, it was the teams option whether to put him on IR (retaining his rights) or reach an injury settlement (making him a free agent able to sign with any team including the Steelers). Under both options he would have been paid while recovering from injury. By being released, as he was, the team had no obligation to pay him. Since he was clearly injured and entitled by the CBA to compensation for this period, the question is, “Was he being compensated”?. If not, why not? Well, first based on article Dave wrote in 2012, he got his information from an agent, not by watching the process unfold or taking it directly from the CBA. If you recall, the 2012 camp was the first after the 2011 CBA. When a player is released with an injury designation, he automatically reverts back to IR after clearing waivers. The team then has 5 days to reach an injury settlement with the player (like they did with Shaun Lemon this year, for example). That settlement is based upon the number of weeks that player is estimated to be out and is negotiated between the team and the player’s representative. Based on some digging into the CBA today, you are correct in your conclusion that he could have come back to the Steelers. However, he would not be eligible to come back to the Steelers until his injury settlement term was up. If they paid him for 6 weeks, he could not come back to the Steelers until that term had elapsed, but could sign with any other team at any time. Based on what I can see, no they did not pay him during that 3 weeks he was unemployed. Unfair? Yes, maybe. I suspect it has something to do with a wink nod deal they made with Finney when they cut him and that he knew they intended to bring him back. 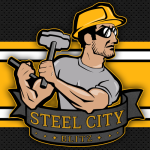 http://www.steelersdepot.com/2012/08/explaining-the-nfl-waived-injured-process/ According to my research, if “waived/injured”, the team has the option whether or not to place the player on IR (retaining the players rights, but eliminating a seasonal return) or reaching an injury settlement (compensating the player during recovery time and making him a free agent able to sign with any team.). By being “Released” as he was, the implication is that he was not compensated beyond that point until resigning. He was clearly injured, so was he compensated during that period? If not, why not, as he is entitled to be under the CBA.